Osiz Technology is one of the top most DevOps development company in madurai, India. We focused on offering an unhackable cloud based solutions and DevOps development services. We have experts in DevOps auditing and a team of DevOps programmers who have a vast knowledge in the current DevOps development workflows of any kind of enterprising organizations along with the IT operation practices. 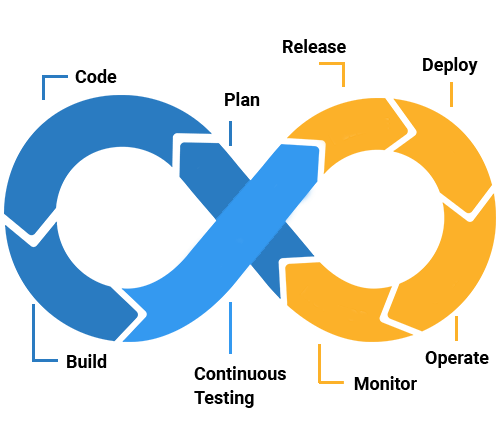 Our Speciality is, we used to create a clear cut plan which helps the enterprises to adopt our DevOps strategy without any doubt. We also flexible in working with all platforms like Amazon Web Services (AWS), Microsoft Azure, Google Cloud or any other cloud platforms. Most Importantly our team of DevOps experts offers backup & disaster recovery, remote infrastructure management, and cloud migration services too. By DevOps architecture, you can control the management of configuration and deployment without any necessity of login to server or dealing irregularity environments. Through DevOps technology, you can redefine the Application Life-cycle Management (ALM) work-flow by continuous integration process which speed up development and manage processes. In the process of implementing DevOps for an aerodynamic operations, you can handle the monitoring and logging for agile maintenance of applications and obtaining insights. By DevOps technology, you can automate the process of delivering a software package to an environment to confirm its ceaseless delivery by the DevOps architecture. Our Elite DevOps Services will give a Smooth & Successful DevOps solution for your desired Business project. Our DevOps development Services can support you to set up an Automated alerts linked to hardware & software components of your business organization. Our DevOps Developers India can amalgamate Disaster Recovery protocols to confirm that your business organization’s condemnatory data is always safe & secure. Our DevOps developers use the current latest and most rigorous security protocols and technologies to verify your whole data is secure. Our DevOps development team can help your whole organization with the safest migration to the newer platforms and also combining the cutting-edge technologies with your infrastructure. 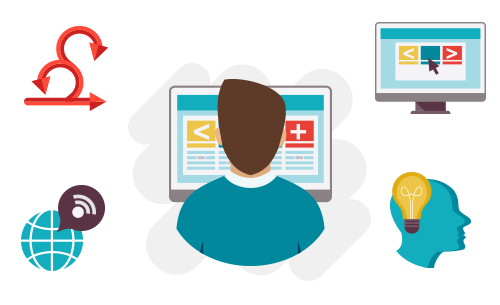 With our very latest DevOps tools & technologies, You can build and deliver the fastest software solution. Our DevOps developers are very flexible in working with Amazon Web Services (AWS). Our experts offers backup & remote infrastructure management with AWS. We also expertise in working with Google Cloud Services. Also our team of DevOps experts serves disaster recovery, infrastructure management, and migration services. Our DevOps developers have a huge knowledge in working with Microsoft Azure Services. And also we provides the security infrastructure management, and data backup services too. We have DevOps team who have experienced in working with Git Services. Also Our DevOps engineers offers the complete data migration services and remote infrastucture management. Why Choose Osiz for DevOps Development? Boundless expertise in delivering a large-scale agile commitments. Cutting-Edge Technologies for high speed automation for improvised Results. Clear-cut consultation for DevOps strategy, integrations, & adoption. Virtualization Service and Release automation. Pliable engagement programs as per the business requirements. Well experienced and well trained DevOps experts & team. 24/7 DevOps Development support Services. Our Highly vital team of Devops developers who are mastered at fulfilling the best practices in Devops development services. By hiring Osiz Devops developers, you can get a complete control of your project technical resources by our development services. And We offers a complete transparency work style, and a flexible Devops service to support you to develop a digital transformations. And Specially, our DevOps developers will smoothly join with your business team to give a successful DevOps solution for your desired business project.